Click here for infographics about safe storage. 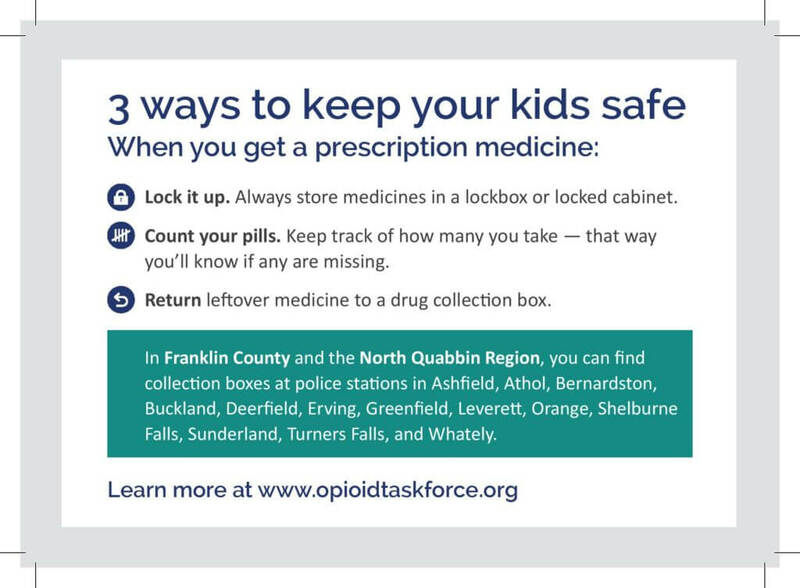 Get rid of leftover medications safely. Make sure your kids know about the risks of using substances like tobacco, alcohol, marijuana and other drugs, and medicine that is not prescribed to them. Substance use is especially harmful to children and teens, since their brains are still developing (and will keep developing until age 25). 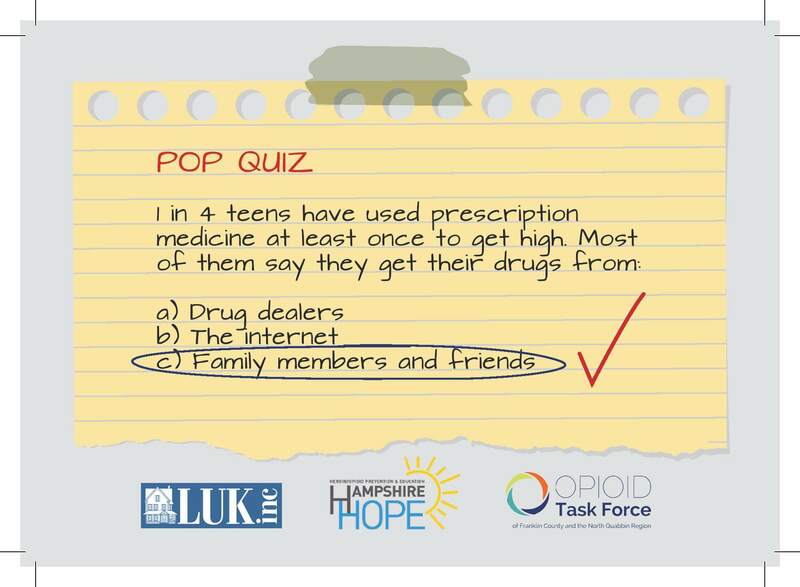 The earlier a young person starts using drugs or alcohol, the more likely they are to develop addiction as they get older. Don’t use substances to manage your own stress. Show your kids healthier ways to cope. Try exercising, doing yoga or meditating, talking to a friend or therapist, or just doing something fun — like playing a game or watching a funny movie.